Sign-up for free access to the AMEE platform. Your free account enables you to search and discover data on all companies and set up your own follow lists to monitor their activity. 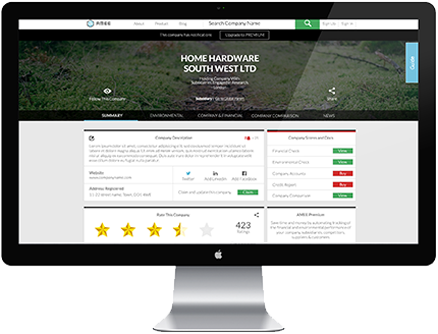 With the free account you can also update your own company’s profile to share data and the actions you are taking to improve sustainability and resilience. Scale up your due diligence and monitoring efforts with ease to cover thousands of companies without messy spreadsheets! Whether its your supply chain, lending portfolio, corporate subsidiaries, or even retail sites AMEE has you covered. Identify environmental and financial risks before they become problems. AMEE Monitor also provides tools to engage these companies so you can collaborate to align your goals. 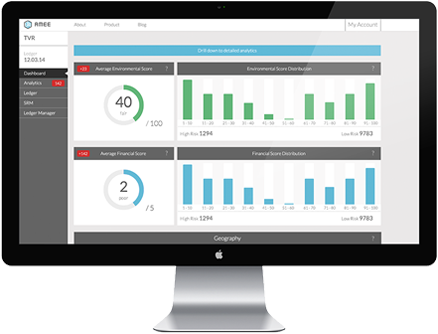 Reduce data complexity and time consuming aggregation while ensuring accurate, efficient and cost effective compliance. A key strength over competitors is our ability to manage and integrate large data sets such as across 1,000+ retail sites of one of our customers. 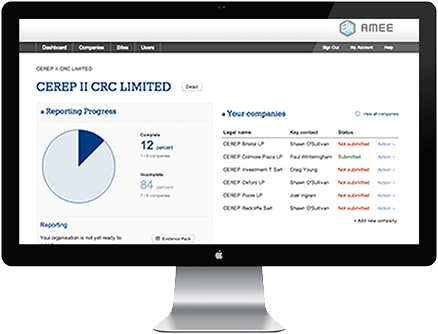 If the complex data issues of CRC are hobbling your efforts AMEE has the answer!